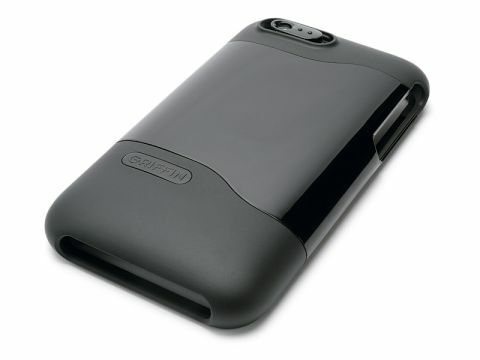 Among the deluge of iPhone 3G cases that wash up on TechRadar's shores, the Griffin Clarifi stood out. It's a hard iPhone 3G case in two parts. When the Clarifi is on the ports and buttons remain exposed for easy access. The bottom half of the case can also slide away separately so the iPhone can be placed in a standard docking well. So far, so pretty standard. However, the deal clincher for us was the inclusion of a built-in macro lens that slides easily over the iPhone's camera lens to improve the quality of close-up shots. The Clarifi lens instantly gives close-up shots a crispness that the iPhone camera lacks, making it ideal for taking shots of text on business cards, for instance. but we still love it. As the rest of the case is solid, and the price not too high, we recommend the Griffin Clarifi as the protector of choice for your iPhone 3G.